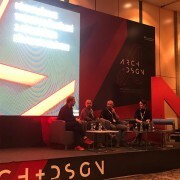 With the contribution of Abdurrahman Çekim (BARAKA), Burak Pelenk (BUDA) and Rahmi Uysalkan (UYSALKAN) a panel moderated by Enise Burcu Derinboğaz took place in Lütfi Kirdar Congress Hall. 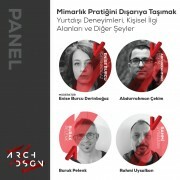 On 9th of April Enise Burcu Derinboğaz will be moderating a panel about Architectural Practice in ARCH Design Conference. The conference will take place in Lütfi Kirdar Congress Hall. 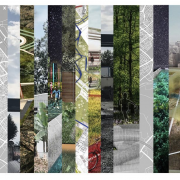 Narrative Driven Ecologies of Praxis Landscape article is published on Arredamento Architecture Magazine, January 2019 Issue. Praxis wishes you a colorful, creative and happy new year. The Design Guide for Silivri that we have been working more than a year has been published. 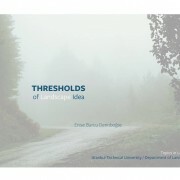 Thresholds of Landscape is a speculative chronology that proposes a nonlinear timeline for the term landscape. The chronology and its summary was presented within the Landscape Urbanism course. This semester Enise Burcu Derinbogaz will be teaching at MEF University. 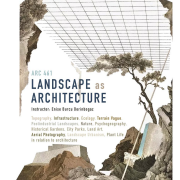 The various topics of landscape history and theory will be discussed with architecture students during the semester. 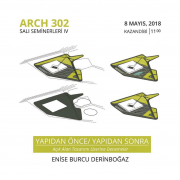 The garden of S House in Çeşme, İzmir has started. 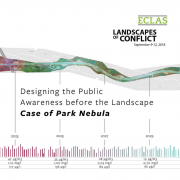 Park Nebula was presented in ECLAS Conference in Ghent during the session that was titled as Theory and Practice. A lecture about how do we approach to the site before and after building. 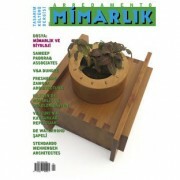 Narrative driven ecology method of Praxis Landscape is presented in Bilgi University. 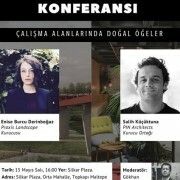 Biophilic Design Conference Series presented by Silkar Akdo has hosted Enise Burcu Derinbogaz as a guest speaker. During the lecture the design practice based on natural systems was discused. 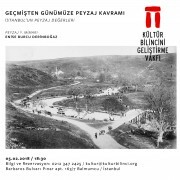 The construction of the square as a part of the landscape project of Istanbul Museum has started. 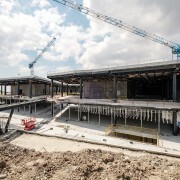 In addition to the square, a 10.000 m2 terrace and 1.000 m2 courtyard will be finished by the end of the next year. 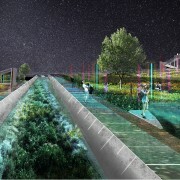 Praxis Landscape won the equivalent prize in Luleburgaz River Park Competition. A park dedicated to minimising the industrial pollution, trusting deeply in inovation.